We have discussed the importance of carrying a true trauma kit. Not a boo boo kit, or a basic first aid kit. First Aid kits are useful and you should be keeping one in your car especially if you’re a parent. 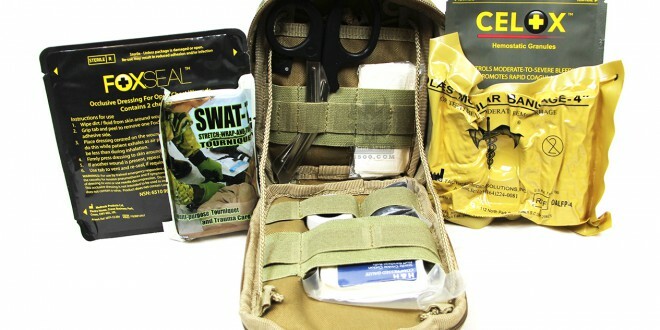 However we are talking about a true trauma kit that is designed to deal with potentially fatal injuries associated with gun shot wounds or massive trauma. 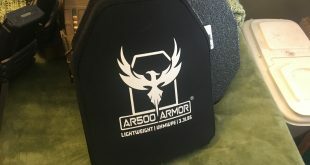 AR500 Armor® makers of some of the best quality steel plate body armor, have expanded their offerings to include medical supplies. Chances are if you’re buying armor plates you’re going to want to have an IFAK or EPIK . IF you are unaware of what these abbreviations are then see below. We are not going into why you need to both carry a IFAK/EPIK or why you would need to train with these as that has been covered. The goal here is to discuss the advantages of buying a pre-made kit and the effectiveness of the AR500 Armor® EPIK kit specifically. The picture above is from their website. Mine was identical with the exception of my kit coming with HyFin chest seals instead of FOXSEAL. For all intensive purposes they are the same. Celox is a fast clotting agent used to stop bleeding. There are some videos on the Internet of this stuff stopping a femoral artery bleed on a pig in minutes. The Celox Granule formula used in the AR500 Armor® kit are great for pouring into a wound to stop bleeding. It can be applied in several ways due to it being a granular or think powder like substance. This is an advantage over impregnated gauze due to the ability to get into small deep wounds that may be difficult to pack like a bullet entrance wound. Regardless of the manufacturer you will want some type of clotting agent to handle severe bleeding. Quick Clot is a completely acceptable alternate form and is what is used in my other kits. Tourniquets are not the evil last resort amputation causing boogieman they were once thought to be. One thing the Military has learned with our prolonged action in Afghanistan is that Tourniquets when properly applied save lives and do not lead to amputation unless they remain on for over 4 hours typically. Once a tourniquet is applied you should mark the time applied and not remove the tourniquet. You will want to get the person medical attention immediately. The SWAT-T or Swat Tourniquet looks much like a deflated bicycle tire. It is the slimmest, least expensive and most compact of the reliable tourniquets on the market. I really like this for a civilian pack or for a small package kit. 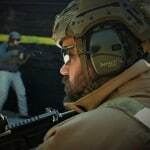 There is a $20 upgrade option for the SOF-T. If your going to be putting this kit with a range bag or on a plate carrier I would personally recommend paying for the upgrade. The SOF-T is a much heavier duty tourniquet and is much easier in my opinion to deploy in a high stress environment. Whichever one you get make sure you get proper training. Online AR500 Armor® advertises the FOX SEALS (or equivalent based on availability) I received the HyFin brand seals. Either one works similarly. Designed to stop sucking chest wounds these seals are incredibly useful when there is damage to the ribs, chest wall and lungs. Seals are easy to apply and can make the difference in stopping a lung from collapsing. Velcro® ‘Control’ strips prevent the elastic roll from accidentally unraveling and secure the bandage throughout the application process. While Olaes® is the new kid and as such the popular kid, any of the pressure bandages will work well. If you have worked with the various pressure bandages you will agree that the Olaes® has some serious advantages in real world and can be adapted better than many of its competitors. Like peanuts, wheat, gluten and other allergens the amount of people allergic to Latex has grown substantially. As such hospitals and medics are transitioning to Nitrile. Nitrile offers you protection from blood borne pathogens without risking the potential of a Latex allergy. If you have an older kit that you built or bought, with Latex we highly recommend swapping out the gloves for Nitrile gloves. No kit is complete without shears to cut away material or any number of other potential issues. Bandages for packing as well as tape can be useful. The tape bandages and gauze found in as additions to this kit are all small and lightweight this is very useful in a compact kit. 6″ x 7.5″ x 3.5″ of Mil-Spec material that is MOLLE compatible designed to go on any number of potential places. Training will teach you that you want your kit in reach. You may very well need to perform triage on yourself and having the tools ready to reach is vital when seconds count. An internal cord system that stops the pouch from opening past 90 degrees makes using the pouch easy on yourself when mounted to your plate and does not hinder you using it on others. My EPIK is attached to a EDC bag or my range bag most of the time. If I am not using either bag then it is in my car with my get home bag that I keep with me at all times. This kit is going to be too large for walking around the mall on a belt or in a pocket. It is the perfect size for a plate carrier, backpack, war belt or stored in your car. AR500 Armor® makes a MINI EPIK that is only 4×4 and may work fine for EDC. Another options is to buy the Pocket EPIK’s AR500 offers that start at only $29. Like a handgun, knife or any other tool, if you don’t have it when you need it, then it does no good. Keeping a kit in your range bag or car is a good idea unless you’re not near your car or range bag when you encounter an emergency. 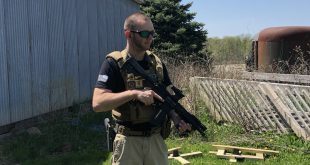 When you compare the price of this kit to some of the other major competition, the price of the EPIK by AR500 Armor® is much lower. As such instead of saving the money, I would recommend buying an EPIK and a pocket kit. Keep your EPIK on your range bag or go bag and then add the pocket kit to a cargo pocket or back pocket. This is a well thought out kit that is inline with many, more expensive kits. None of the components are cheap corner cutters, used to bring the price down. I am not sure how they are affording to offer these kits so inexpensively. The pouch it comes with is a bit larger than some of the other on the market and that accounts for some of the cost difference. It’s not an issue if on your backpack or in the car. 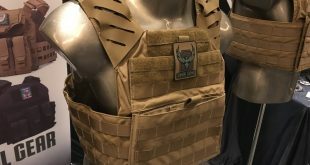 It will work well on a plate carrier for LEO use on either your chest or on the side panel. As mentioned above this is not an EDC kit but the pocket versions the offer have slimmed down features and will work for EDC. I want to reiterate that you will be served very well to get the SOF-T upgrade it makes a huge difference when seconds count. Most importantly get training. Buying this kit or any other off the shelf solution is not going to make you a medic. Even taking a 2 or 3 day class is not going to make you a medic. However with the class and the hands on training you are going to get you should be capable of increasing the chance of survival for a seriously wounded person. 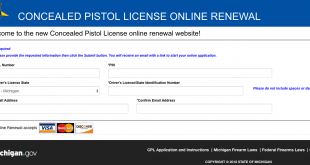 Make sure you know how to use the items in the kit and take refresher courses if it has been some time. Searching YouTube is a great way to refresh but you should take at least one class with hands on work so you know what the tools should feel like when properly applied.